4 Bedroom Detached House For Sale in Maidstone for Offers in the region of £425,000. Bairstow Eves are pleased to offer for sale this detached family home in the ever popular Allington area of Maidstone. 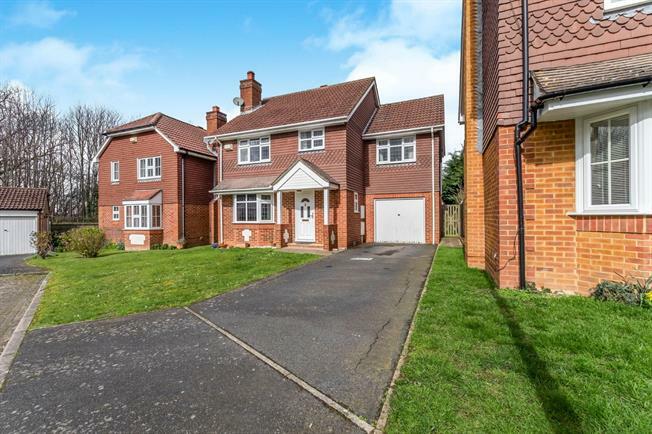 This generous detached family home has a lot to offer including front and rear gardens, hallway, open plan living room and dining room, re fitted kitchen, four bedrooms, bathroom, cloakroom and an en suite too. To the side there is a driveway leading to the attached garage. This home must be seen in person to be appreciated fully.